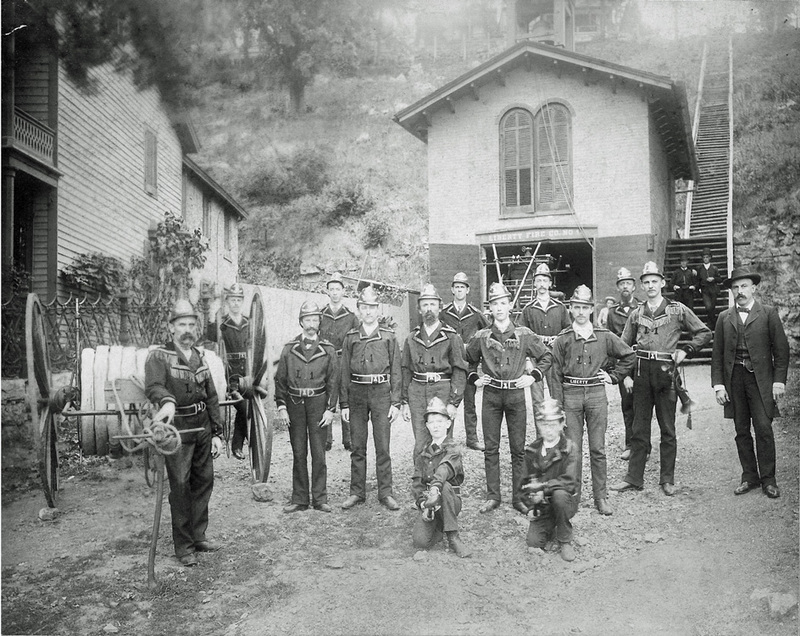 I have an old photograph of Fire Station 1 (also known as Liberty Fire Co. No. 1) in Galena, Jo Daviess Co., Illinois that I would like to contribute. I obtained the photo from the collection of Faye Kirk Meier and Thomas J. Bastian (cousins). Unfortunately, the date of the photograph is unknown. However, the firemen (with a beard) standing behind the boy kneeling (left) is Henry Frederick Bergmann (1846-1914). Henry was the son of Frederick E. Bergmann & Margaret Ann Hines. Frederick owned the F.E. Bergmann Company (cabinet maker) located at NO. 150 Main Street, Galena, Illinois. 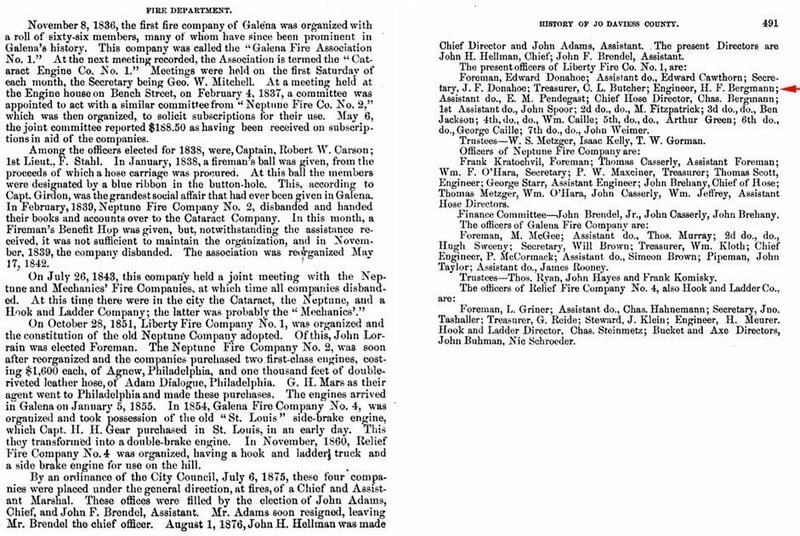 I cannot identify any of the other firemen or people in the photograph, but the book � �History of Jo Daviess County Illinois by H. F. Kett & Company 1878� - chronicles the history of the fire department and it�s officers on pages 488 & 491. It�s amazing the old fire station is still standing today!